This dress has never been worn except for trials. I purchased it from Istanbul, Turkey. 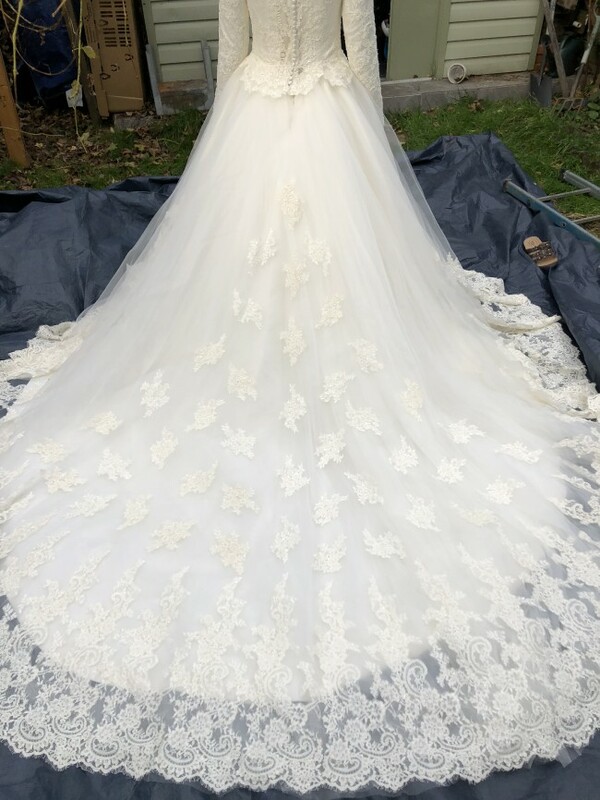 This A line wedding dress has beautiful details with lace, bead buttons (both on the arms and back) tulle skirt and two-layer veil. The dress has a hidden lace up back which is covered with the beautiful beads so the sizing can be adjusted. It can fit size 8-10-12. The lace appliques cascade down the flared skirt, just perfect to make you feel like a princess! Once you send a message, Kubra can invite you to purchase the dress.